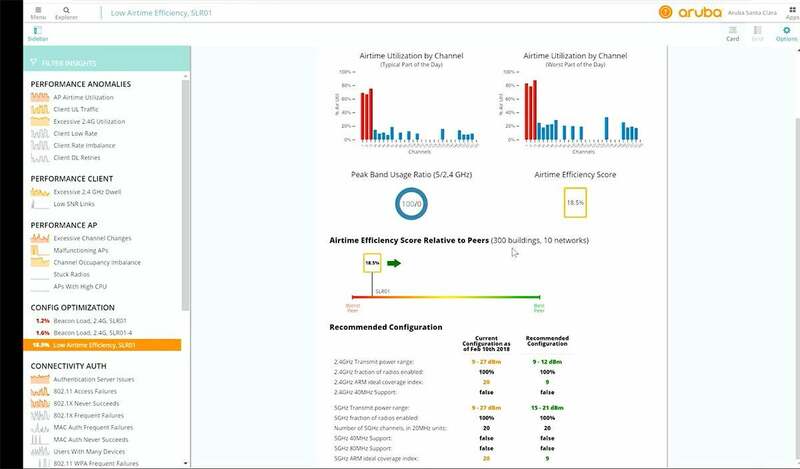 Aruba’s new NetInsight solution uses artificial intelligence and the cloud to improve Wi-Fi troubleshooting and ensure Wi-Fi performance. There’s no question that Wi-Fi networks continue to grow in importance for most companies. Workers rely on it to do their jobs, students are being educated on mobile tablets, doctors are pulling up records at a patients' bedside, and millions of Internet of Things (IoT) devices are now being connected to Wi-Fi. Wireless is no longer the connection of convenience — it’s mission critical, and a poor-performing wireless network means a key process is likely to fail. Just under 60 percent of respondents spend at least a quarter of their time doing nothing but troubleshooting Wi-Fi issues. In a 40-hour work week, that’s 10 hours of time dedicated to finding and fixing Wi-Fi problems. Forty-seven percent of respondents said it takes 30 minutes or longer to diagnose a problem and 41 percent claim it takes another 30 minutes or more to solve the issue. That means for about half the companies, Wi-Fi issues take an hour or more to correct. Over 60 percent of respondents still use packet capture as their primary troubleshooting tool. Packet capture is akin to a data dump, and then someone needs to sift through and analyze the data, which explains why the troubleshooting time is so lengthy. What if there were a better way? What if Wi-Fi problems could be found before users report problems? Science fiction you say? I understand the skepticism, but machine learning and artificial intelligence (AI) is used widely in many industries to do things such as drive cars, automate supply chain, feed crickets, and more. If it can do those things, can’t it help find Wi-Fi problems? That’s exactly what Aruba, a Hewlett Packard Enterprise company, is showing off at its user conference, Atmosphere, currently being held in Las Vegas. (Note: Aruba is a client of ZK Research.) The company announced a product called NetInsight, an AI-based troubleshooting tool offered as SaaS that can help customers understand user experience and ensure the performance and resiliency of the Wi-Fi network. As businesses deploy more IoT devices and mobile endpoints, a product like NetInsight will become mandatory. NetInsight provides a data-driven approach to Wi-Fi troubleshooting. Instead of waiting for users to call and scream at the help desk, the product constantly gathers data, auto baselines the environment, and flags things outside the norm. The dashboard shows things such as AP airtime utilization, client traffic, and excessive 2.4G utilization, but it highlights the things that could cause problems. For example, in the AP airtime utilization widget, NetInsight continually gathers data and shows how severe Wi-Fi problems have been over the past 30 days, the groups of APs that have been identified as being problematic, the times they reported anomalies, the utilization, and the deviation from the norm. Also, it gives actionable recommendations on how to fix the problem. Even if users aren’t calling in, the network operations team has the data to correct things that aren’t working, as well as address those that are non-optimal. Because NetInsight is a cloud-based service, Aruba is able to gather data across its entire customer base and provide a Wi-Fi benchmark of how that one customer's environment is compared to other similar peers and actually provides a score. For example, it may show that the network being looked at is in the bottom 10 percent and make recommendations on how to fix it. This is an interesting feature because if the environment is bad, users may not realize it because it’s the norm and they won't complain. Network engineers can use this to become more predictive and fix issues that no one is aware of. There’s also a feature called “Impact Validation” that shows a list of performance metrics, such as data rates, retry rates, and channel utilization, before and after the change. This can be used for configuration changes, image upgrades, or anything that might impact connected clients. Even before its acquisition by HPE, Aruba has differentiated itself through security and management. 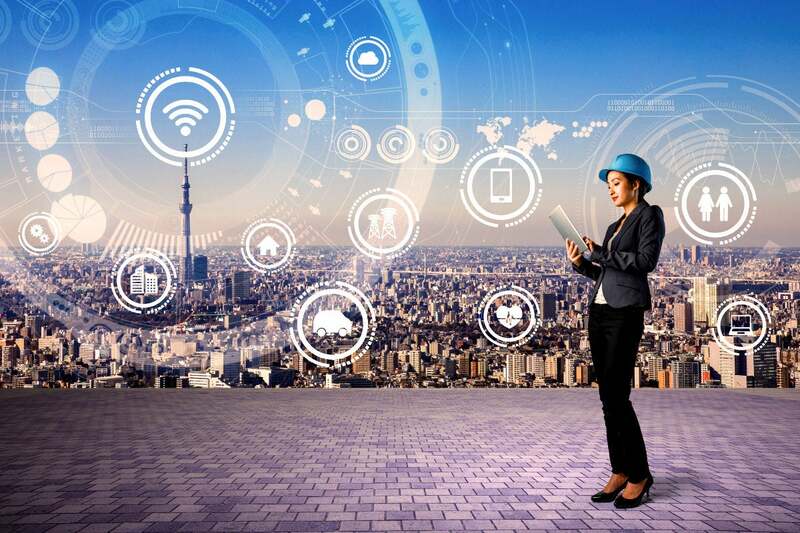 It’s always had good quality wireless infrastructure, but one could argue that connectivity is now a commodity and that the software that’s wrapped around the hardware is where the differentiation in the Wi-Fi industry is. In fact, Aruba’s Airwave Wi-Fi management product was the industry’s first multi-vendor Wi-Fi management tool, and it’s what originally put Aruba on the map. NetInsight is a continuation of the history the company has in Wi-Fi management. Every customer I talk with about their network plans to increase the density and coverage of Wi-Fi, and a tool like NetInsight should be in place before the infrastructure is deployed. This ensures the best possible performance without having to overspend on hardware.